Rose Luqiu Luwei had been a television journalist in Hong Kong for 20 years. She covered almost all of the major international news events ranging from the wars in Afghanistan, Iraq, Libya and Gaza to the tsunami in Indonesia, the earthquake in Japan and China. She also reported on Chinese political news and interviewed several Chinese leaders. She was a television producer, commentator and presenter as well. In addition, Luqiu’s book writing and online activities have also made her recognizable in China, especially among the Internet users. Since 2002, she has released seven books on her reporting trips around the world, and one autobiography. She also wrote weekly columns for dozens of leading Chinese media outlets. She is not only one of the first to blog in China, but one among other renowned writers attracting millions of followers and readers on the Internet. 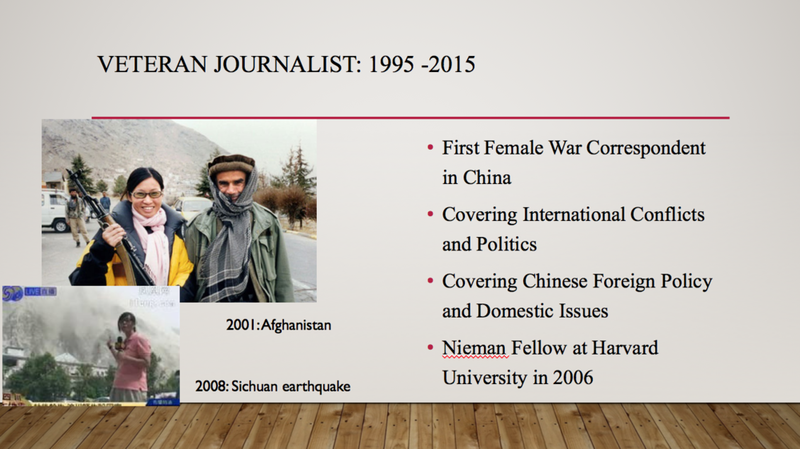 In 2006, Luqiu became a Nieman fellow at Harvard University. Luqiu received her PhD in mass communication from Pennsylvania State University in May 2018 and joined Hong Kong Baptist University as assistant professor at School of Communication in August 2018 , where she obtained her master’s degree in mass communication. She was born and raised in Shanghai and earned her bachelor’s degree in philosophy from Fudan University. Pennsylvania State University State College, PA.
- Promote civic education among the young people from Mainland China, Taiwan and Hong Kong through organizing seminars and summer camps. 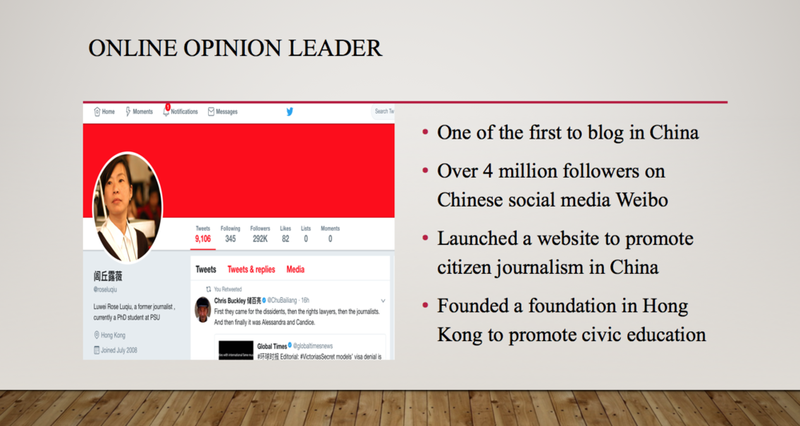 - A website in 2007 to promote citizen journalism in China. - The Chinese government shut it down in May 2014 by the Chinese government.